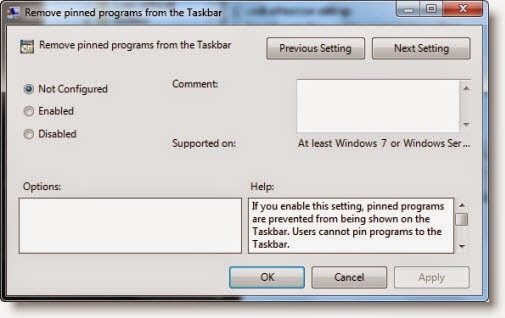 If you want to disable the Pinned taskbar Programs in Windows 7, here is how you can do so. 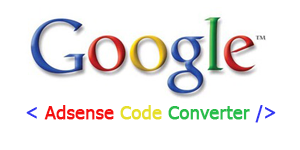 Type gpedit.msc in Start Search and hit Enter. This will open the Local Group Policy Editor. In the left pane, expand User Configuration > Administrative Templates > Start Menu and Taskbar. In the right pane, right click on Remove pinned programs from the taskbar and click on Edit. To enable this setting select Enabled > Apply > OK. Exit. Reboot. If you enable this setting, pinned programs are prevented from being shown on the Taskbar. Users cannot pin programs to the Taskbar. If you disable this setting or do not configure it, users can pin programs so that the program shortcuts stay on the Taskbar. To disable back this Taskbar Pinned Programs setting, simply select Not Configured or Disabled.